I don’t often share my sketches: I feel that within the sketches are possible other ideas for new projects, and it can sometimes seem a little trusting to bear your creative soul in such a way as to just asking to be ripped off. Guess I’m not feeling so cynical today. However: all images are Copyright of imjustcreative-Graham Smith 2012. Currently working on a new logo project called Shark: a swimwear brand focusing on creating performance mens swim trunks for the aqua competitive. 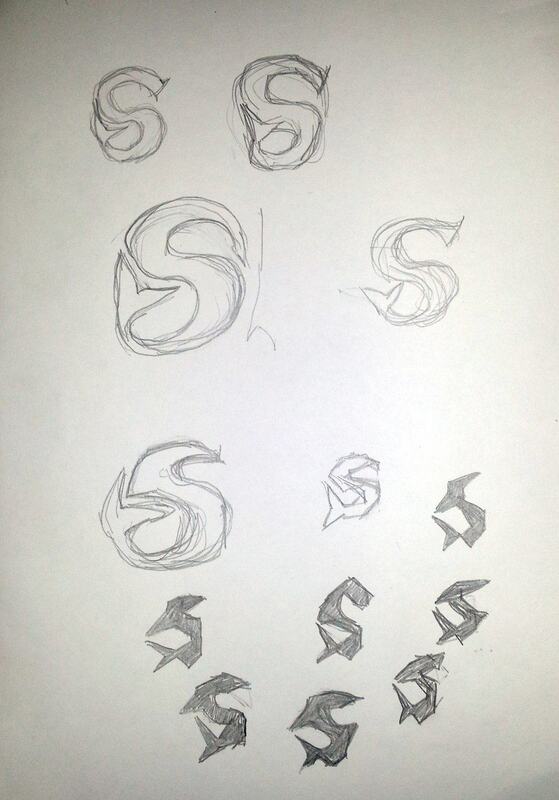 Initially started out trying to shoehorn in a sharks tail as a form of serif on the S (first lot of doodles on first image), but soon realised that there was a possibilty to manipulate the entire S rather than just a portion. 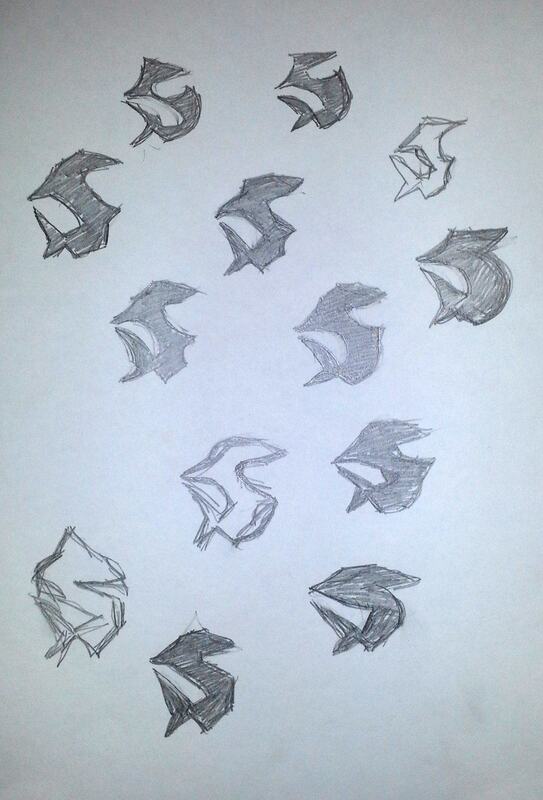 The aim now is to try and stylise the S to have some form/shape that represents a shark, but without being too lifelike/realistic/literal, but also not so abstract as to have no idea what the hell it is. I have been inspired by Gothic, BlackLetter and calligraphic style fonts as an initial direction for the logomark. The challenge right now is designing it so it doesn’t appear like a seahorse, or too much like a hammerhead shark or other undesirable manifestations of unrelated animals. The general idea is to fashion the shape so that it looks like the shark is in a tight twist, all ready to fiercely swipe out its tail into your face whilst propelling itself forward. 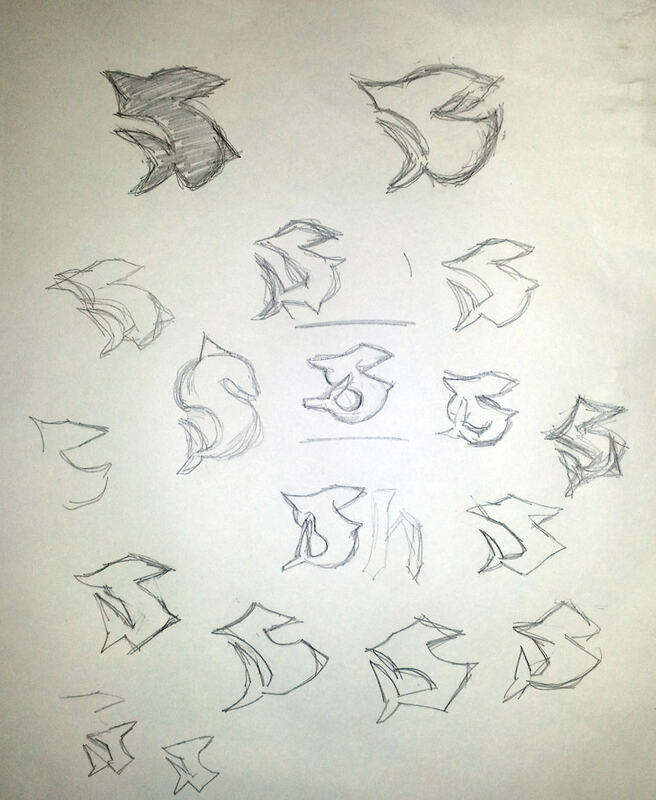 There is one doodle I do like, which is in the sketch directly above and is next to the feint ‘h’. A little too realistic for this project, but liking the overall form. Very early days, but I also think we are pretty close to nailing this. My goal is to create a form of this mark that would look utterly awesome as a upper arm tattoo.